Learn to effectively pull off Skill Moves with ease! 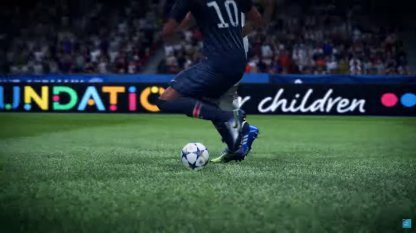 This article will discuss essential Skill Moves that have strong impact on gameplay. Also included are information on Skill Ratings, & how to do the Skill Moves! Skill Moves are special moves that certain characters can perform during matches. These moves allow you to create space and leave defenders behind while looking flashy on the field! Each Skill Move has a corresponding Skill Rating to it. 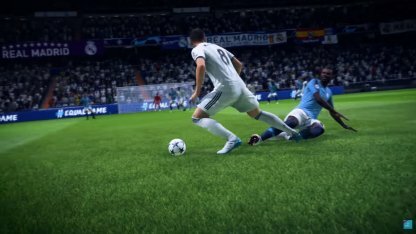 Only players that have the same or higher Skill Move rating will be able to perform that specific Skill Move. The Skill Move's corresponding action must not be very complex in order for the player to successfully perform the skill move when needed. The Skill Move must also be able to efficiently allow the performing player to leave the defender or create space to move to, pass, or attempt to shoot at the goal. 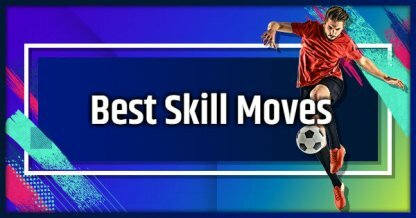 The following Skill Moves are arranged in order or of lowest skill rating to highest. This was done to show easier Skill Moves that more players can perform. This move will let you quickly turn around while disorienting the opposing defender. The Heel Flick is a great way of tricking the defender that you are going either right or left, opening up the lane in front of you to speed past them! The Stop and Turn will use the enemy's momentum against them! Make a quick stop and change your direction while the enemy has trouble changing their direction! The Simple Rainbow is used to get past defenders directly in front of you. It also sets up the ball for a powerful shot at the goal! This will trick defenders into thinking that you will shoot the ball, making them dive for it. It also lets you reposition yourself to shoot at a better angle! Skill Moves are a great way of being able to beat defenders and get past them! They can disorient defenders, and make them open up lanes for you to pass through! Other than beating defenders, when used near goals, it may give you great opportunities to score goals since you leave your defender behind you and no one is guarding you for a brief moment! With lots of Skill Moves to choose from, you will need to take some time to practice and master them. After getting the rhythm of each Skill Move, you will be able to execute them like it was second nature! You can practice your Skill Moves at the Practice Arena mode in FIFA 19! Skill Moves, when used at the right time, can be devastating. However, over-using them can make you predictable to the enemy. Use these sparingly and make your Skill Moves count!